"Thank you for visiting the premier Metropolitan Washington Real Estate web site. Our award winning offices in North Potomac and Tyson�™s Corner proudly serve Maryland, DC, and Northern Virginia. Whether you are searching for a primary, move up or secondary home, you can trust a firm that values professionalism, discretion, and integrity. Our firm offers a free no obligation comprehensive market analysis of your current home. 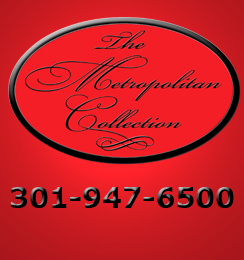 The Owners of Metropolitan have 28 years of experience each helping people to buy and sell homes in the Metropolitan Washington area. Please feel to review the information on our comprehensive web site, as well as begin your search for available properties. Learn more about how our services can work to your advantage, and feel free to contact us at any time to secure your dream home." © 2016 RE/MAX Realty One. All rights reserved.